“We want a lot of time with our wedding guests”. We’re delighted when we hear comments like these, because that’s how we work! 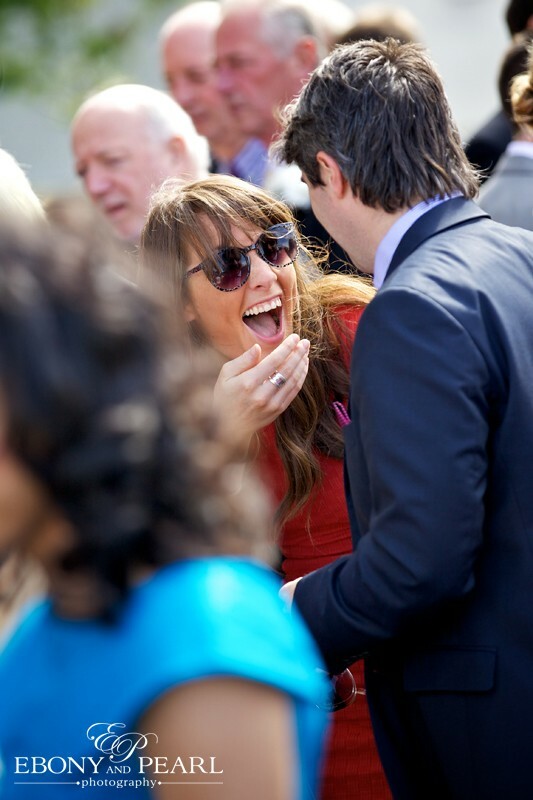 We think that you see so much more of someone’s character when they’re laughing with their friends rather than grimacing for a camera. 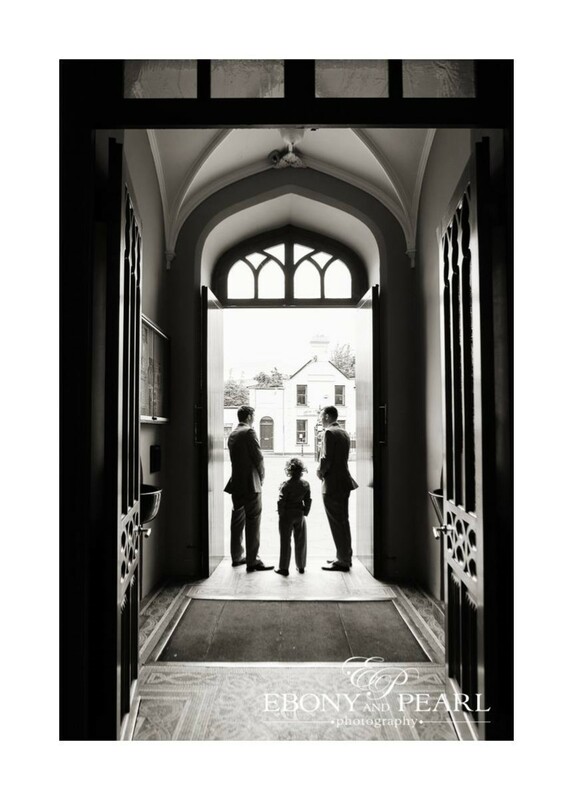 Throughout the day, we do our best to be as discreet as possible, from shooting the wedding ceremony to capturing the craic at the reception. We shoot our weddings with two wedding photographers. This allows for a second angle of fleeting moments like the kiss, or the ring exchange, and when one photographer is getting photos of the Bride & Groom, the other can be in the reception documenting the action they don’t see. 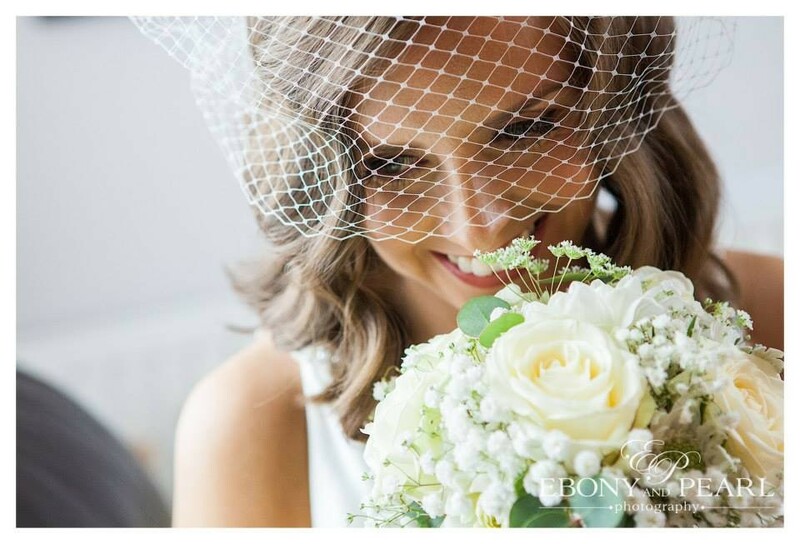 We offer all kinds of wedding photography packages to suit different tastes and budgets, and look forward to discussing your ideas for your wedding photography to make your images as personal as possible. Please get in touch, we’d love to sit down with you and show you what you can expect from us as your wedding photographers. 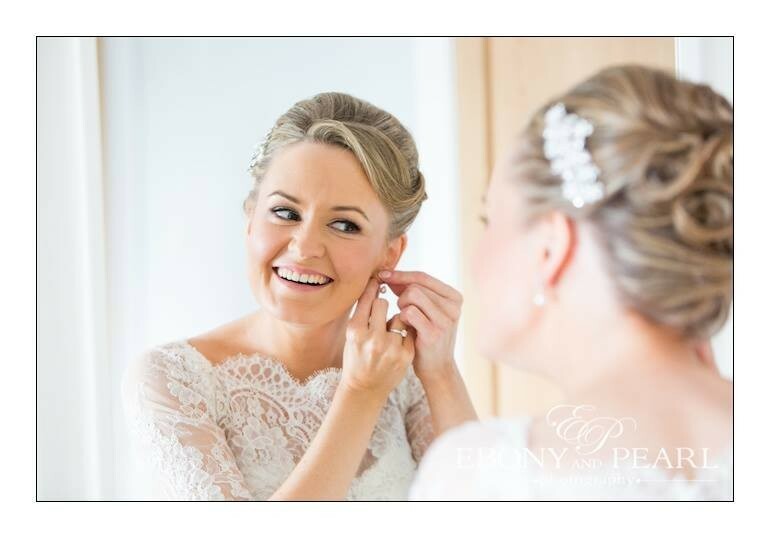 Ebony & Pearl Photography Wedding Photographer in Dublin servicing weddings throughout the local area including nationwide. 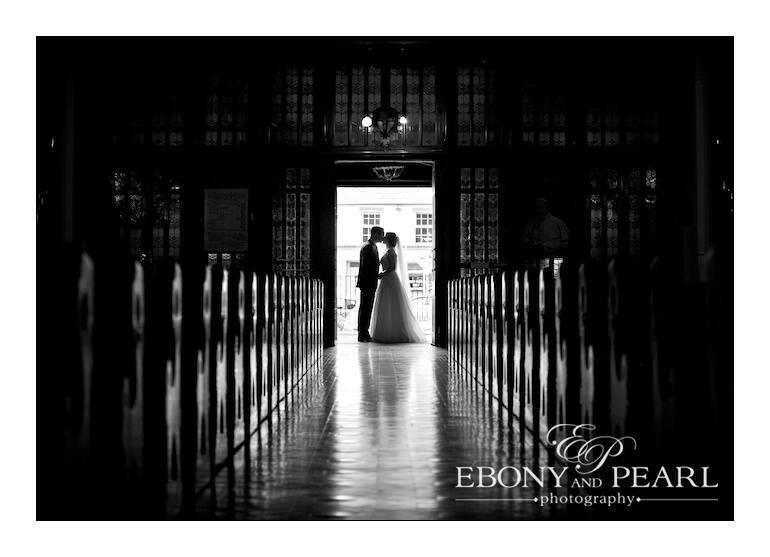 Ebony & Pearl Photography professional Wedding Photographer that has been part of the Wedding Photography industry 2007 specialising in natural, candid, reportage, documentary wedding photography. Stuart and Emma were amazing! They were so helpful and thoughtful but yet didn't impose on the day. Excellent shots captured and brilliant with kids and getting them to actually get a picture taken. Photographs didn't take too long on the day which was great. Couldn't recommended enough! 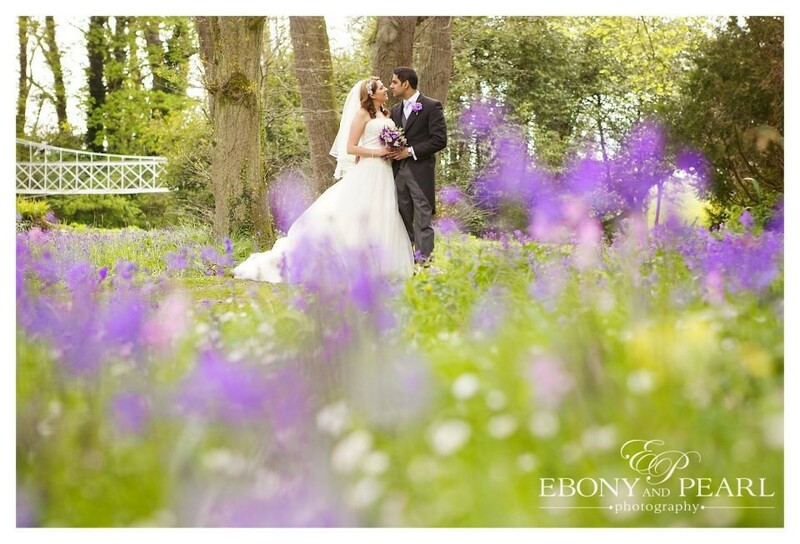 We are so grateful to have had Ebony & Pearl Photography as our photographers for our wedding day in June this year. We couldn't have asked for anyone better. 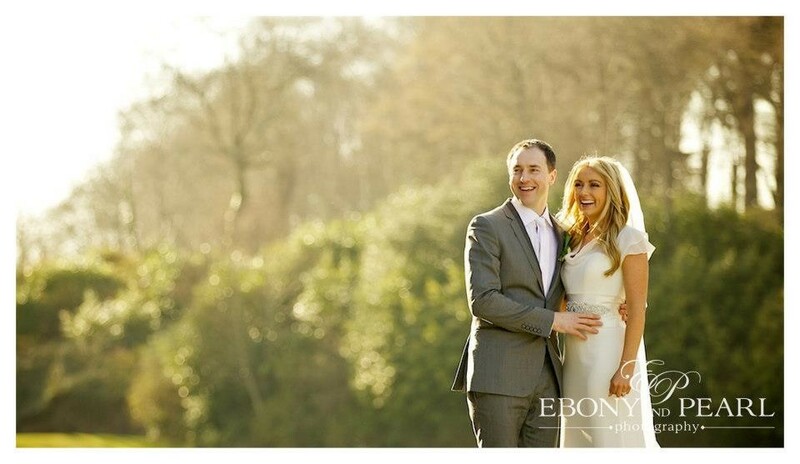 Stuart & Emma were amazing to work with and we are so happy with our wedding photographs. They are fabulous and we would highly recommend them to anyone. Thank you so much! 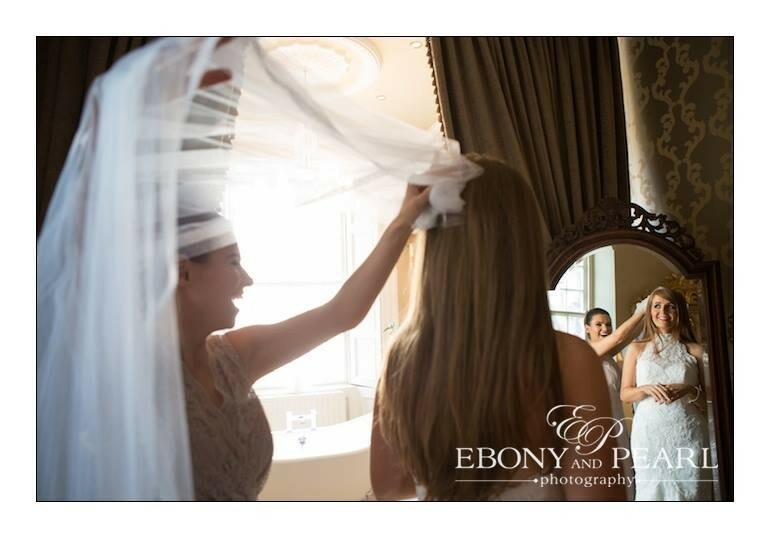 Ebony & Pearl provided everything we wanted for our day and we have amazing photos to prove it! From the beginning, skyping us while we were still living in New Zealand to following up with us when we came home. They were always professional and our family and friends barely knew they were there on the day. They were very flexible in our requests and went above and beyond to ensure we got the photos we wanted. 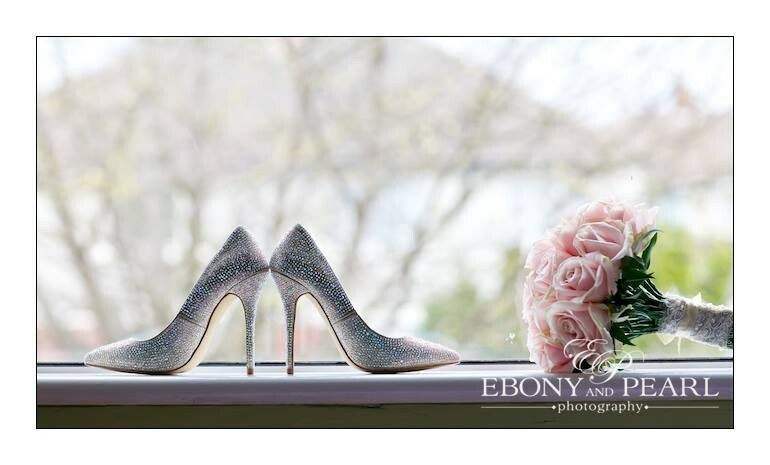 We would highly recommend Ebony & Pearl Photography. 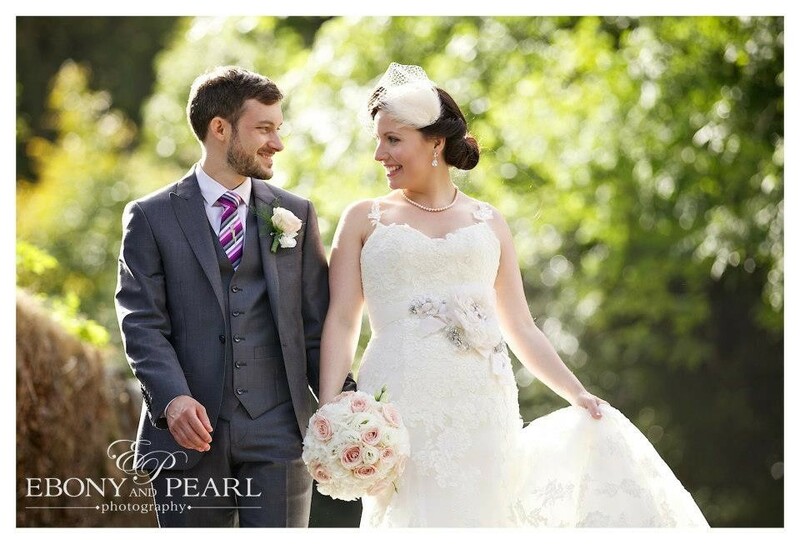 We used Ebony & Pearl Photography for our wedding 3 years ago and would highly recommend them. Stuart and Emma are both professional and very easy to deal with. 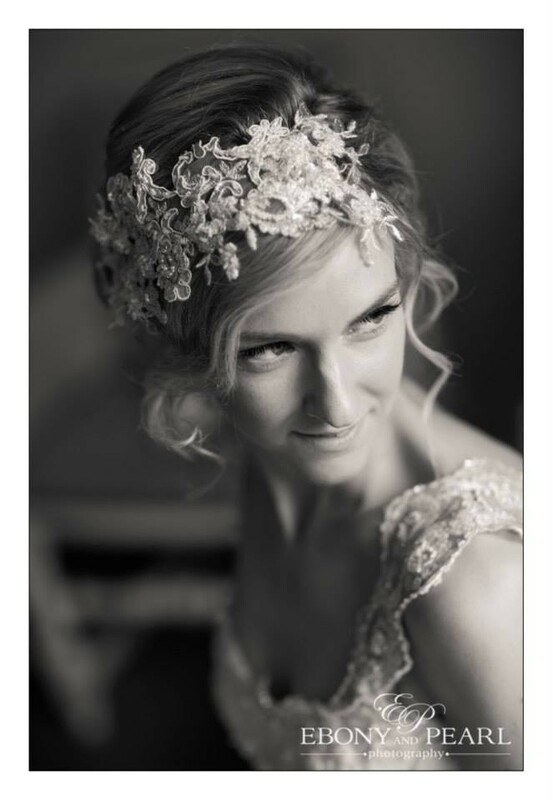 Their non invasive approach to photography not only results in capturing beautiful natural photos but also helps to make the day even more enjoyable. Ebony & Pearl were absolutely fantastic. We were not into having a lot of posed photos and they made all the photos look so natural. Both Stuart and Emma were very flexible, laid back and fun to have around while we were getting ready and during the whole day. 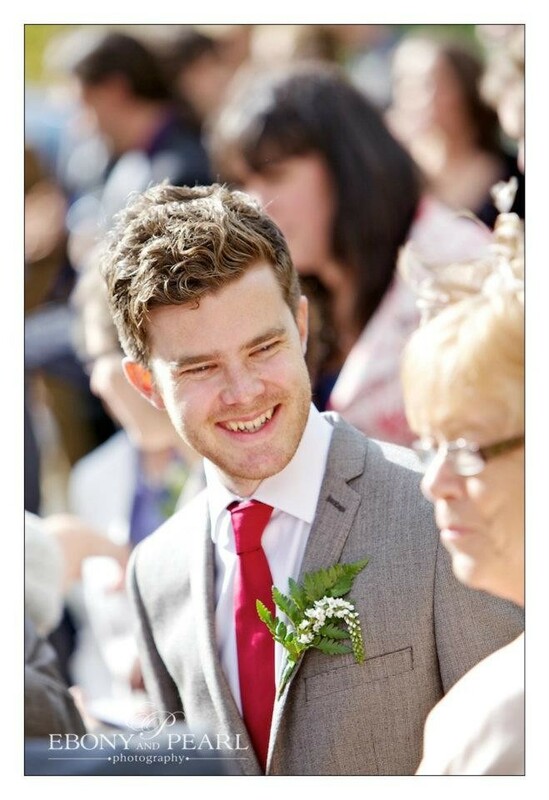 They were completely unobtrusive when it came to the ceremony, which we felt was really important. We didn't even notice they were there and they managed to get some great shots. They were great when they interacted with our guests and we got quite a few comments saying how friendly and personable they were and everyone was pleased when they saw the photos once we got them back. They were both very prompt on the day and getting our photos back to us. 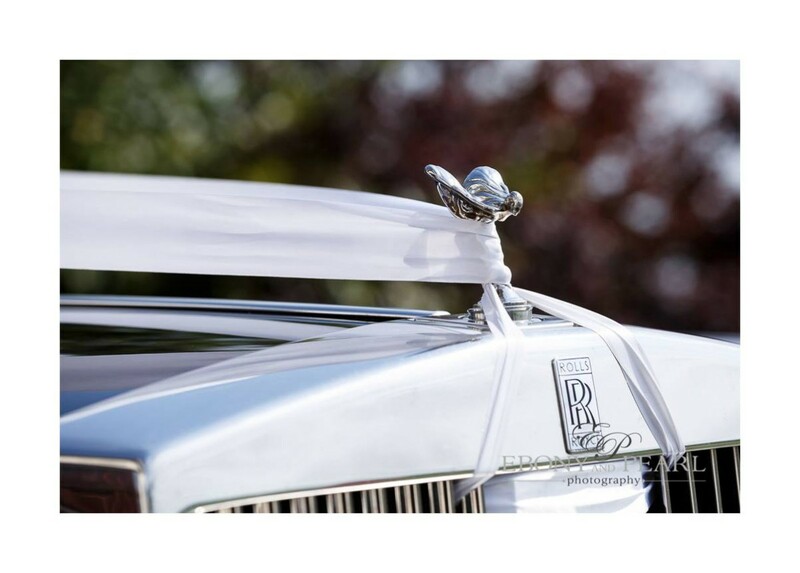 We thought they were excellent value for money, very accommodating to our needs and we came away with some beautiful photos. 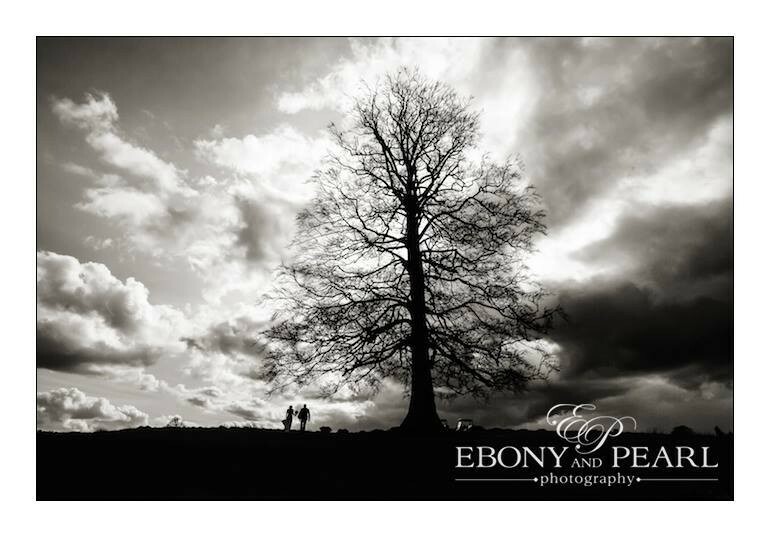 We would highly recommend Ebony & Pearl to anyone looking for wedding photographers. We also had engagement photos with Emma which were fantastic. 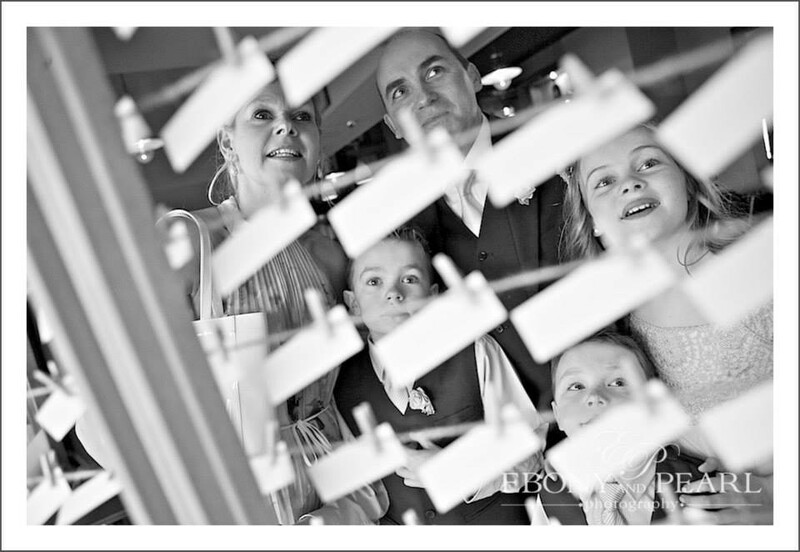 We were delighted with how Stuart and his team captured our wedding day. They truly did blend into the background and made it a very pleasant experience for us, our families and friends, while capturing the moments perfectly. The photos were indeed natural and unposed and we could not have asked for a better outcome. An extremely professional team, that we highly recommend. 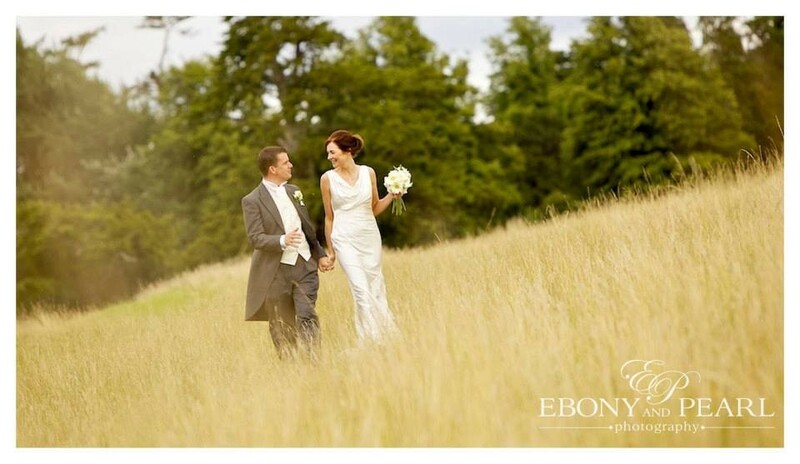 We were really pleased with Ebony & Pearl Photography. Emma is so lovely to deal with and went out of her way to ensure that everything was perfect. We really didn't want to be away from our guests for too long and Emma made sure we got some really beautiful photographs in a short time. We would highly recommend Emma to our friends. Stuart and Emily worked with us on our wedding day and it was a pleasure to have them with us, they captured our whole day and it went without fault. In the build up to the day I spoke with Stuart on numerous occasions and he was so relaxed, friendly and helpful, his professionalism and organisational skills were fantastic and he really put me at ease. Our photos were relaxed and easy which was exactly what we were looking for, organic shots of people having fun along side family group photos which had been discussed with Stuart before the day. On such a busy day you don’t always get to take in what is going on around you and when looking through my photo album now it is as though the whole day is right in front of me and we have such beautiful photos of our families and friends having a great time which I really appreciate. 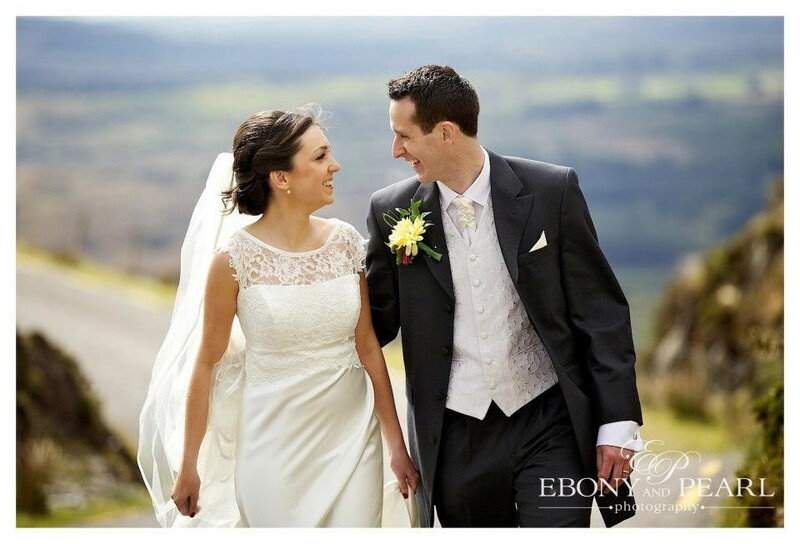 I would have no hesitation in recommending Ebony and Pearl photography and wish them every success in the future. Stuart and his team were brilliant. So easy to work with and his pictures have come out brilliantly. Exactly as advertised - relaxed natural and unposed pictures. Would recommend to anyone. 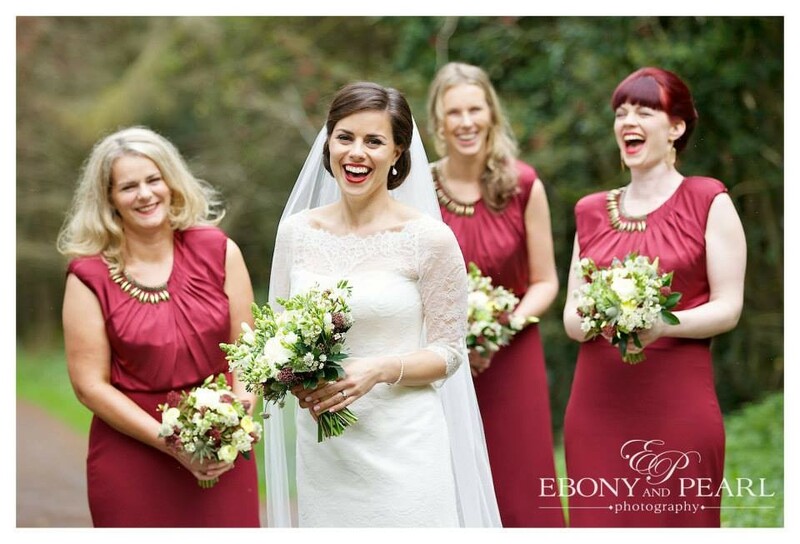 We wanted our wedding day to be captured in both a stylish yet natural way, and Ebony and Pearl did exactly that! Emma and Stuart were so lovely to deal with and knew exactly what we wanted. They made us feel like royalty on the day! All of our guests have commented on not only the quality of their work, but how subtle they are in getting the shots they need. 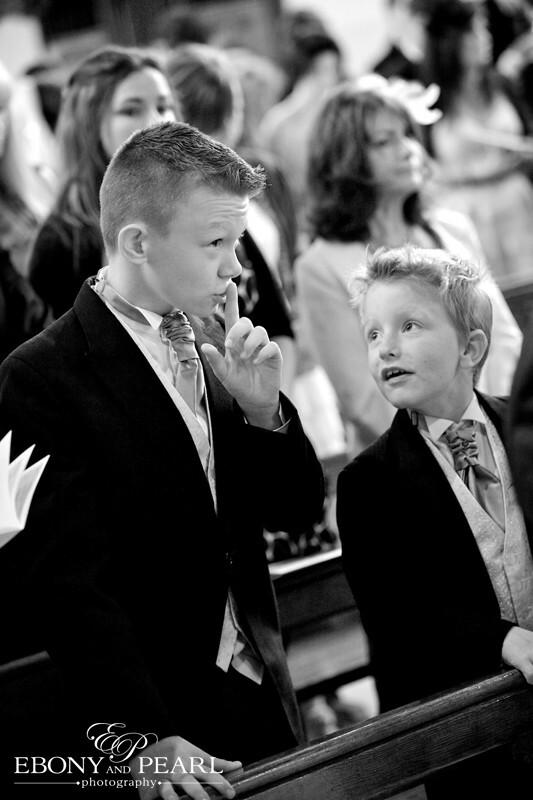 Even the priest commented on how unobtrusive they were during the ceremony. We didn't have to wait too long for our images and our album is absolutely beautiful. 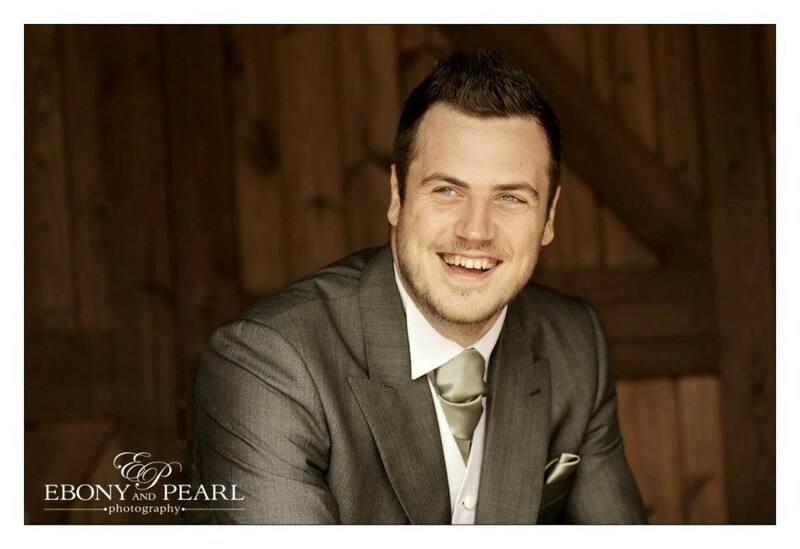 We cannot thank Ebony and Pearl enough and highly recommend them to every bride and groom!! So easy going!Stuart and Emma went to great lengths to grab some amazing photos!Barely noticed they were there and they caught some great moments that we had missed!very down to earth and fantastic at what they do! We were very happy with the service!! 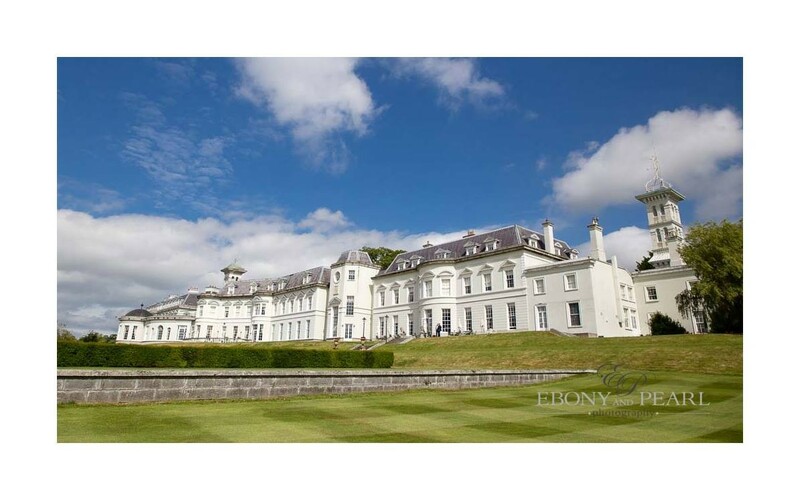 We dealt with Emma, who was great, friendly and professional. 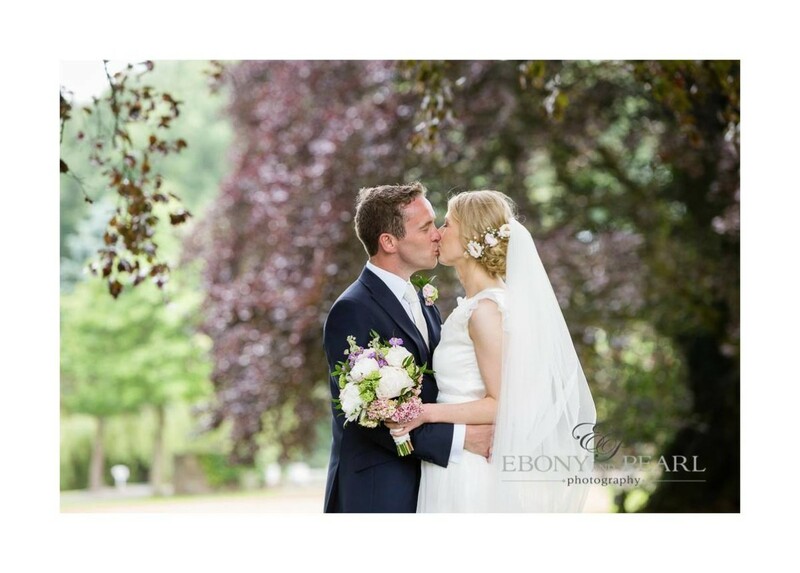 The style of photography by ebony and pearl was very much initially what won both myself and my husband over, but even down to how discreet Emma was, was just amazing you completely forget almost there's a camera there. Our photographs came out amazing. Emma was fantastic, puts you right at ease!! Plus from the beginning very easy and accommodating to deal with, considering we had her for two days and down in Mayo! Recommend ebony and pearl 100 percent!! 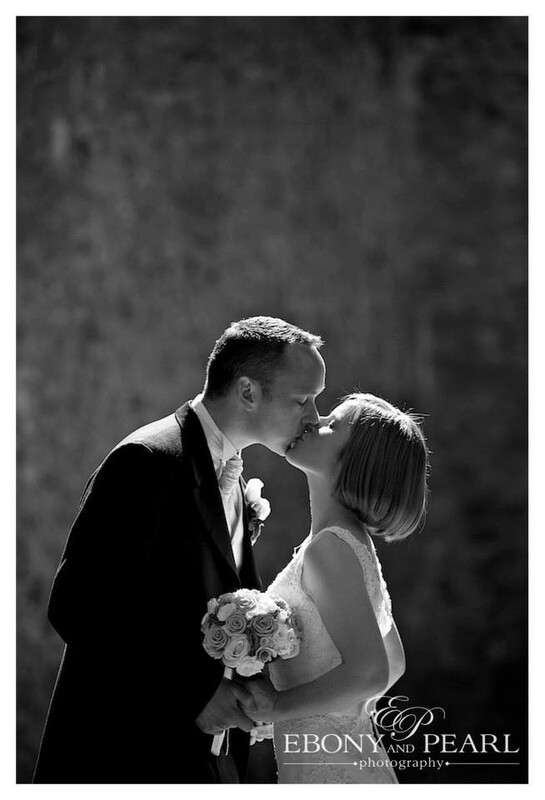 Stuart was fantastic to work with and along with his colleague they perfectly captured our wedding day. 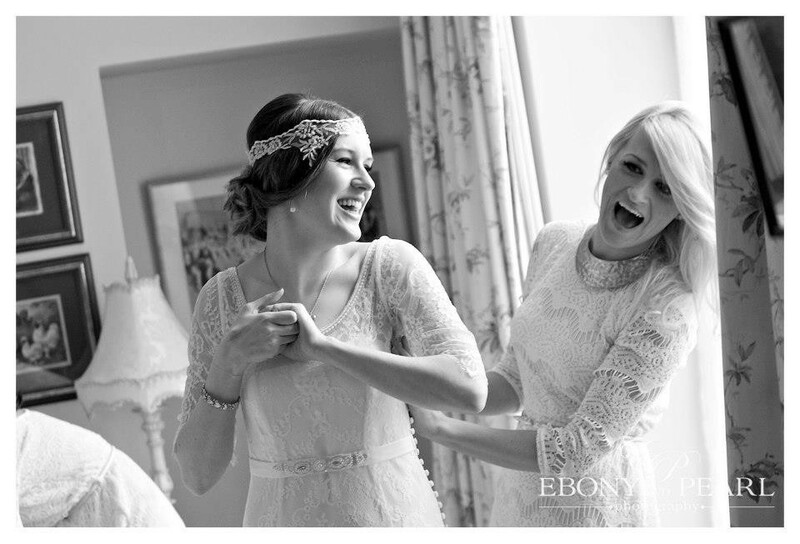 We were absolutely delighted with our photographs and the album is a beautiful memento of the day. 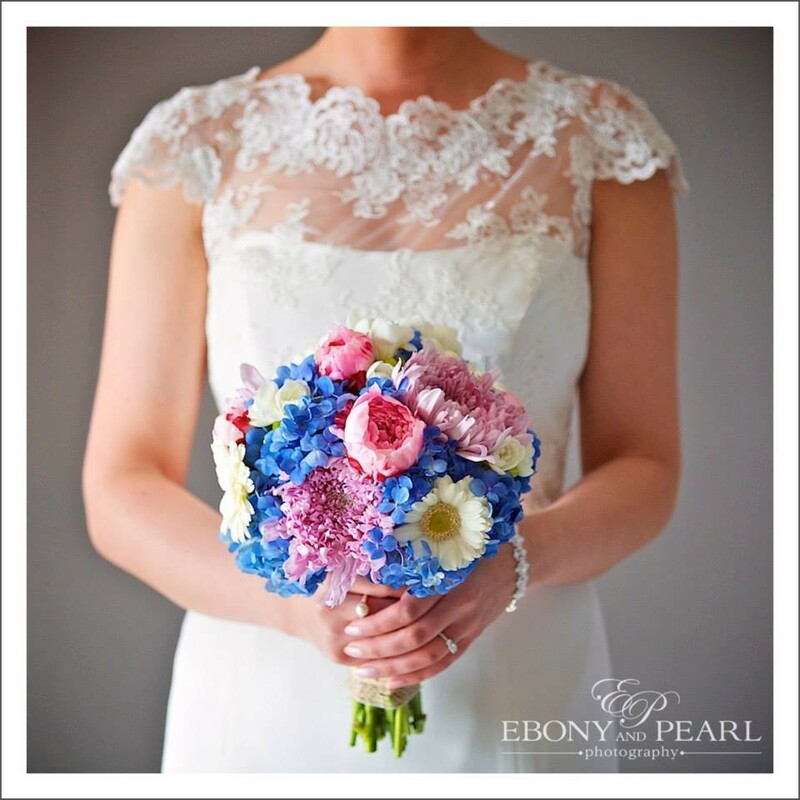 We would not hesitate to recommend Ebony and Pearl Photography. 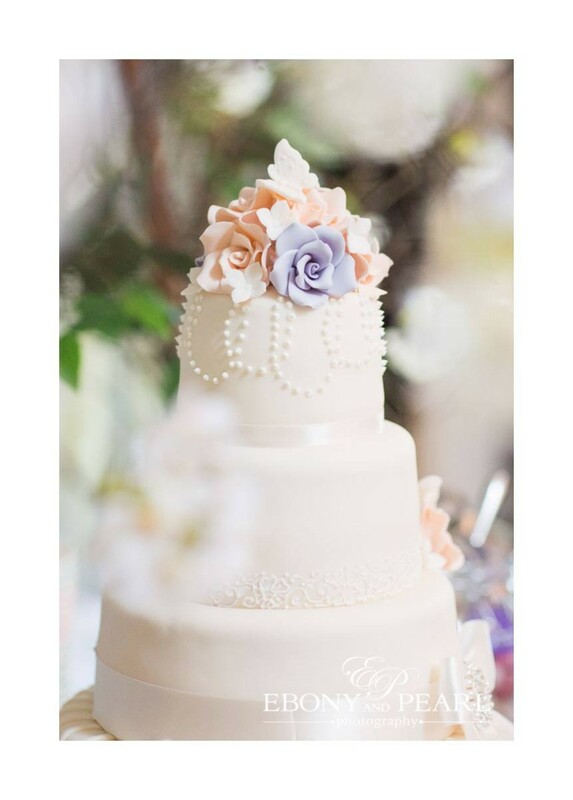 I used Ebony and Pearl after they photographed my sisters wedding. 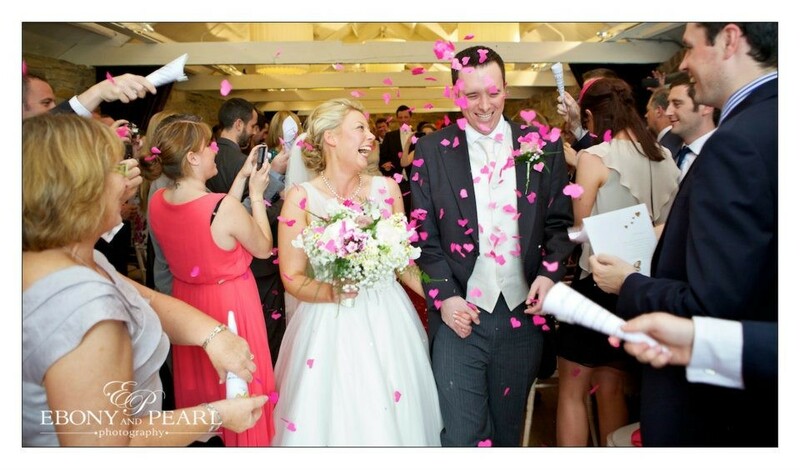 Emma and Stuart captured the mood, atmosphere and spirit of both our weddings so perfectly. 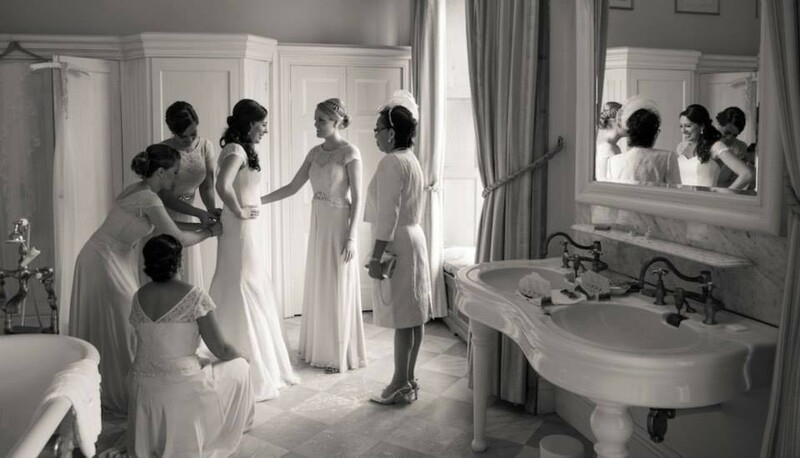 The pictures we have of our wedding tell the story of the day so beautifully and effortlessly. Each and every shot was fantastic. I couldn't have asked for more and couldn't reccoment them highly enough. Stuart and Emma were fantastic. 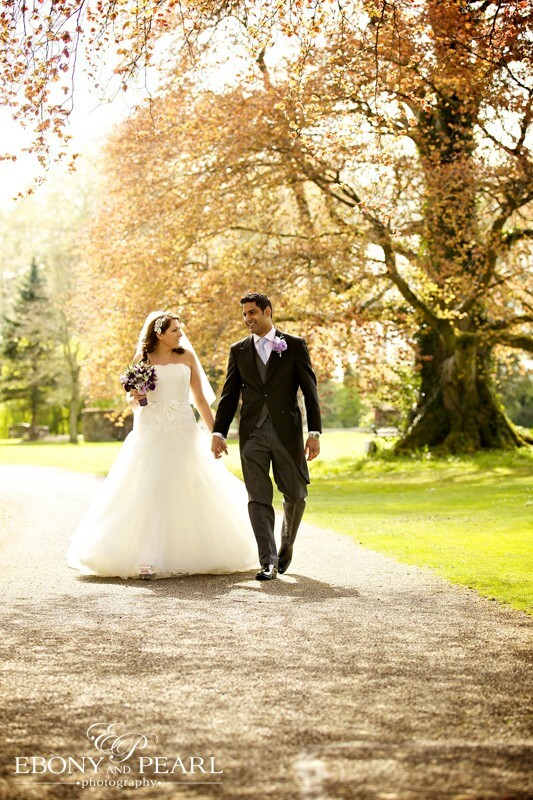 We felt very comfortable with them on the day and were delighted with the photos. They helped to make our day really special. Ebony and Pearl did an amazing job on our wedding photos and I couldn't be more grateful to Stuart. He was thoroughly professional and unobtrusive. We didn't want to spend half the day posing for photos and missing the fun and Stuart was very accommodating and made the group photos and posing quick and painless!! 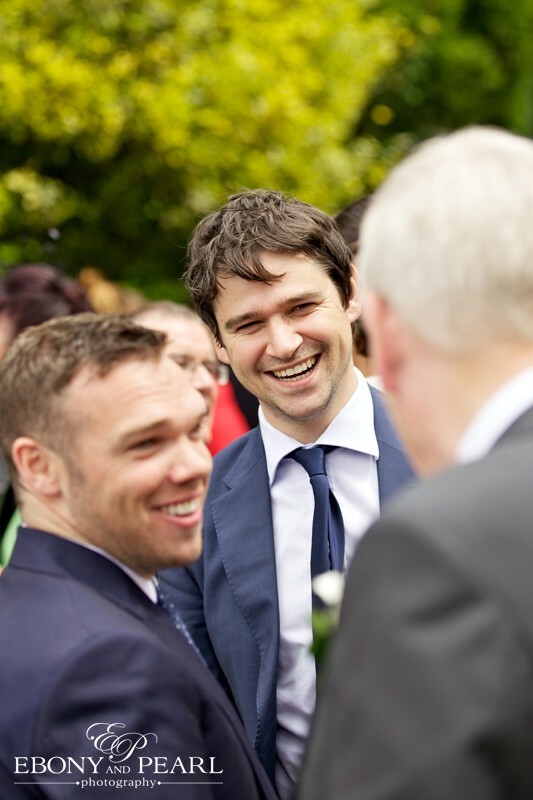 He also did a brilliant job in capturing candid, natural shots of us and everyone on the day. The package was good value and I still love looking at our photos. Highly recommended. 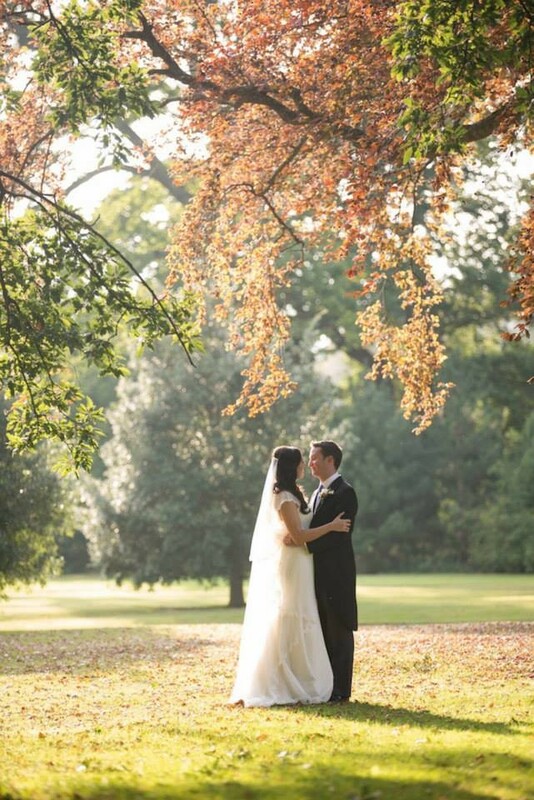 Thanks so much to Stuart & Emma for the fantastic job you did on our wedding day! 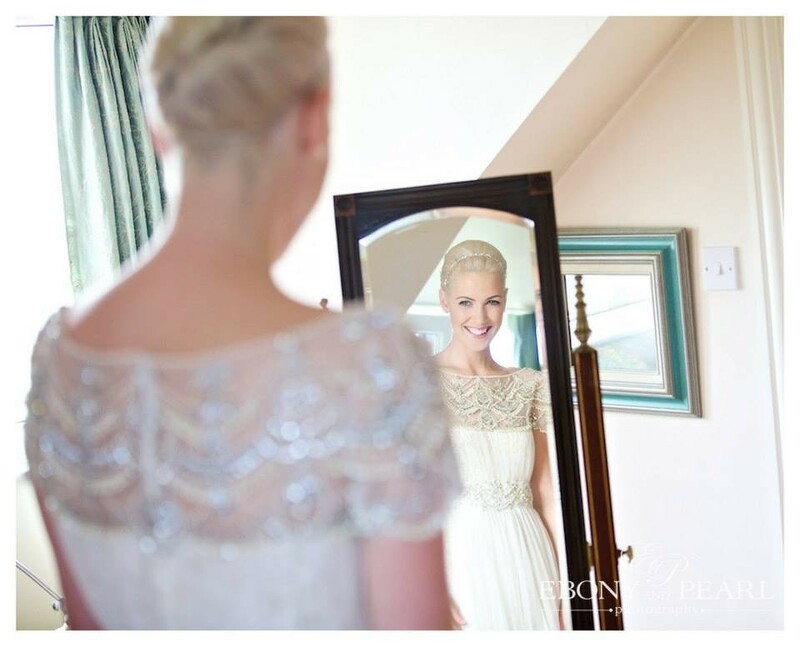 The photos captured the day beautifully and we really appreciated how well you blended in on the day. You were both so relaxed and made us feel right at ease from the start. We really love our photos and will treasure the memories!! Stuart and Emma were amazing. I couldn't recommend them highly enough. 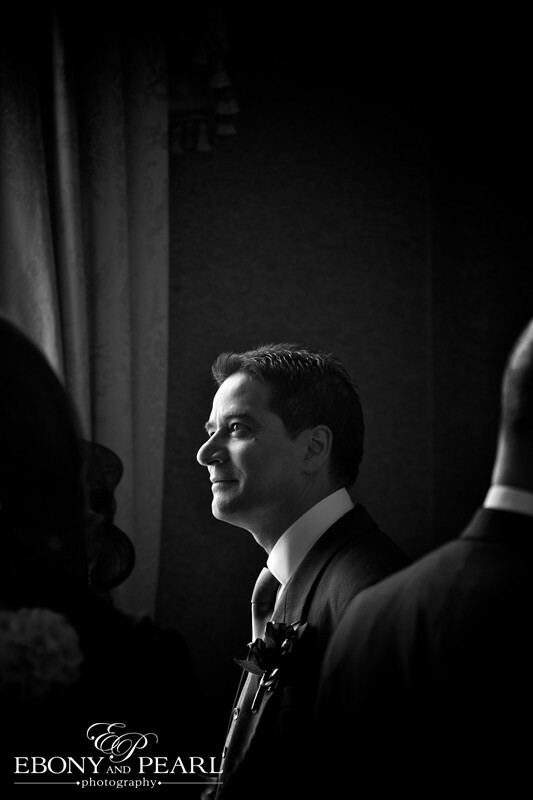 So discreet and professional on the day but captured the moments of the day and the mood so well. We loved their natural style of photograghy and loved the result especially the ones of family and friends laughing and smiling on the day like no one was watching. Its so good to have those moments from the days that you don't see your self. We particularly liked how you managed to get so many amazing photos of us, the bridal party and family in what felt like only a few minutes. It was so easy on the day.Thanks again Stuart and Emma for everything. A pleasure to deal with from start to finish. A complete 5/5 . Very professional and talented photographer. Couldn't recommend Ebony and Pearl highly enough. I work with photographers as part of my job so I was very picky and sure of what I wanted. I couldn't have been happier with results. They were great on the day, making everyone feel at ease for the formal photos as well as taking the most beautiful candid shots of us and our guests which we absolutely love. 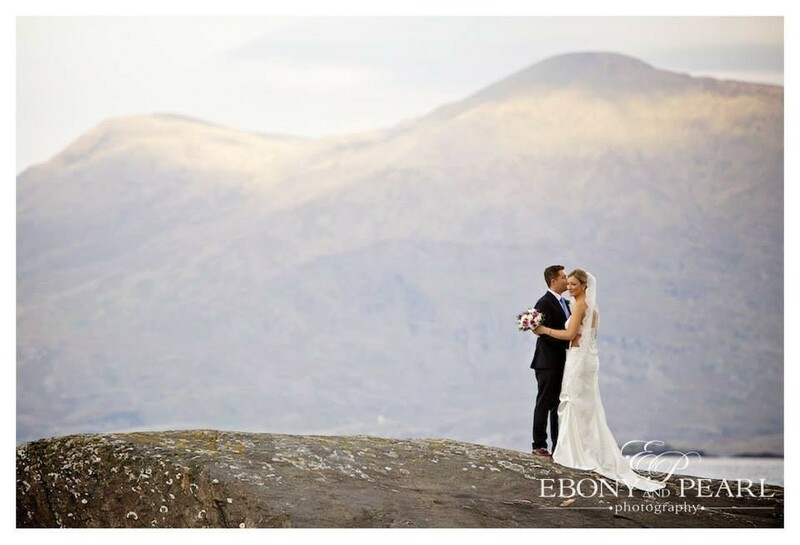 Our wedding was in Kerry and some of the shots of the landscape that they took were truly magnificent. The best part was we didn't feel the photographs were a chore like I've heard so many other couples say - it was really efficient and we have the most beautiful record of our day! 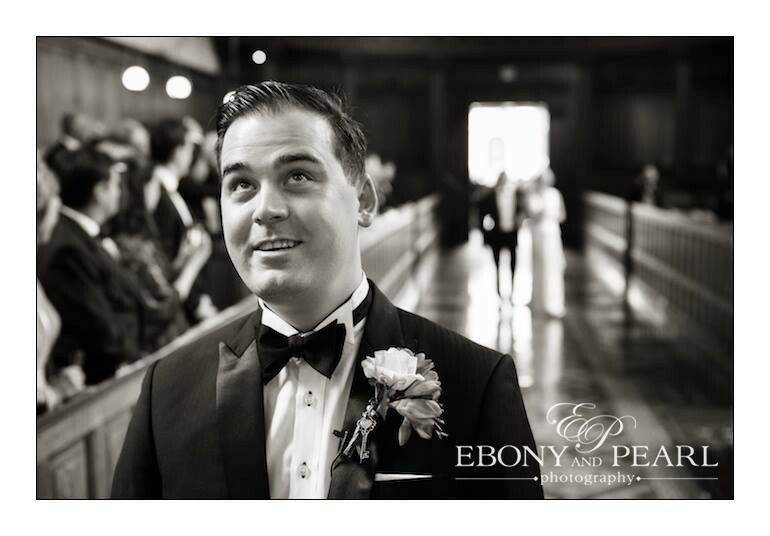 I can't recommend ebony & pearl enough to any bride looking for a photographer. 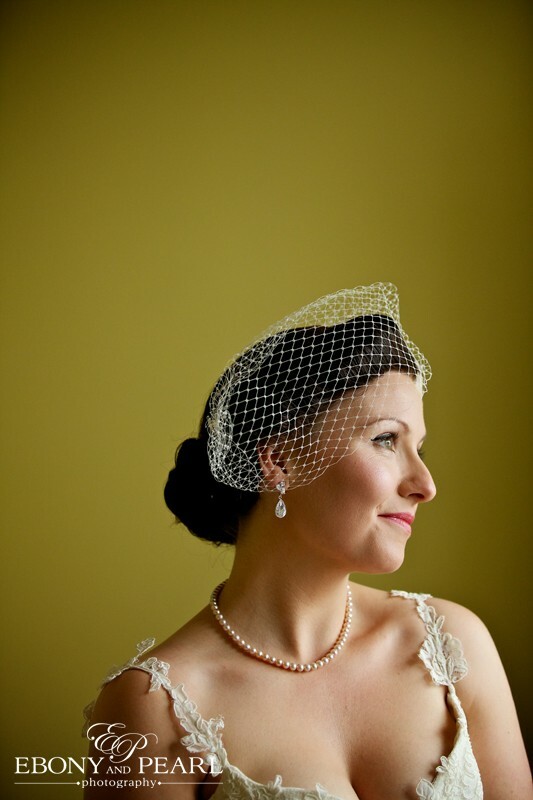 From the very first consultation the team were so friendly,professional & lovely to deal with.They were amazing on the day & made the photos fun rather than a chore. Their lovely manner was so relaxing on the day as I've seen some wedding photographers stressing everyone out shouting at different people to get in & out of photos. The thing that really sticks out in my head though about what an incredible professional team they were was they had scouted out some other photo locations around the hotel in case the weather had not been on our side. They also ensured we had all the photos we wanted before they left the venue. We got a beautiful Italian cream leather bound photo album & a leather encased CD box with all the pictures of the day. 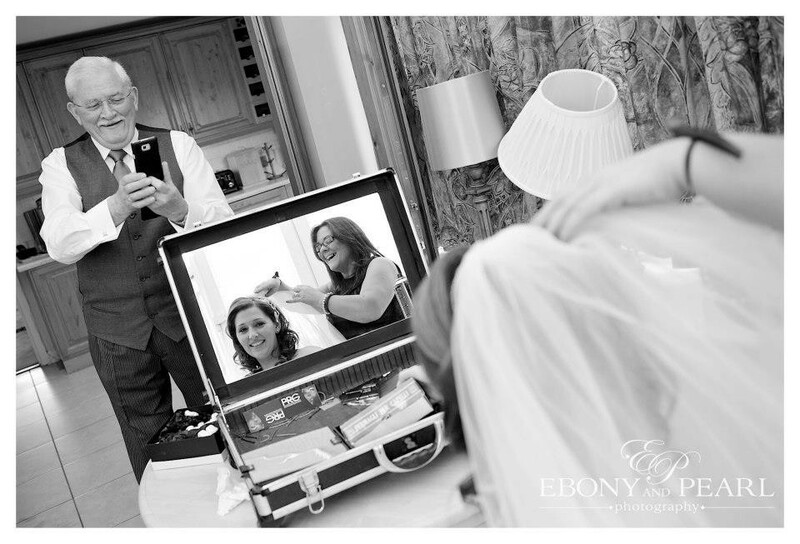 Ebony & Pearl were very professional wedding photographers from the get go. Very friendly, accommodating, relaxed and made the whole experience stress free. Always answered calls and emails. Came all the way to Sligo to meet us for a day beforehand to view the church and venue. Weren't stuck in your face on the actual day, they took the photos we requested in the time we gave. Was brilliant having 2 of them which we'd not seen before or since. It meant one photographer concentrated on the bridal party and immediate family whilst the other got great photos of our guests throughout the day. 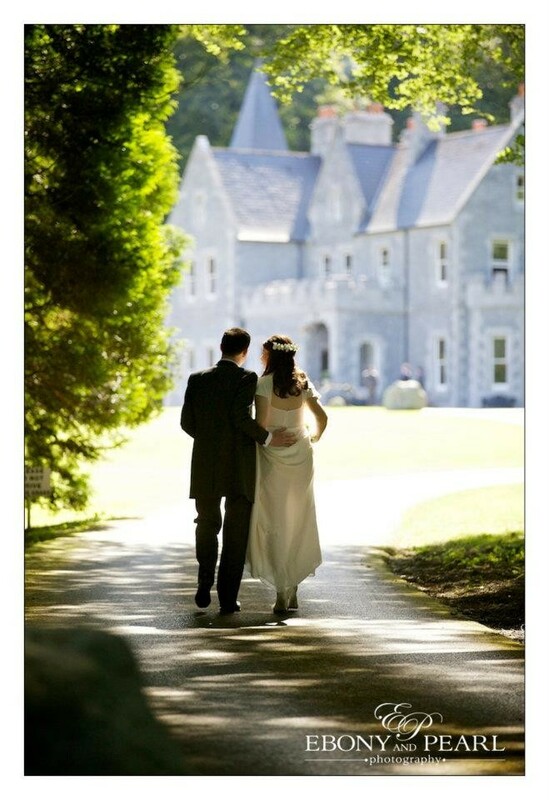 Two couples at our wedding has used them since, our wedding hotel recommend them often as do we. 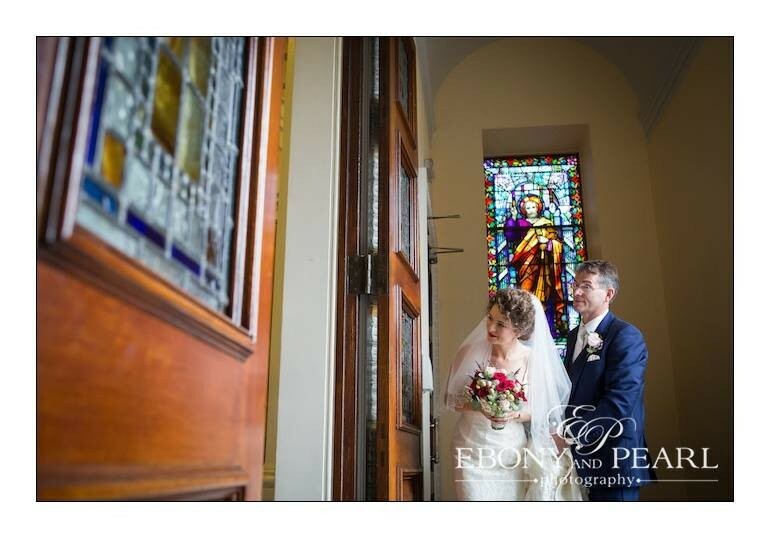 Both Stuart and Emma were just fantastic in the lead up to our big day and on the day itself. 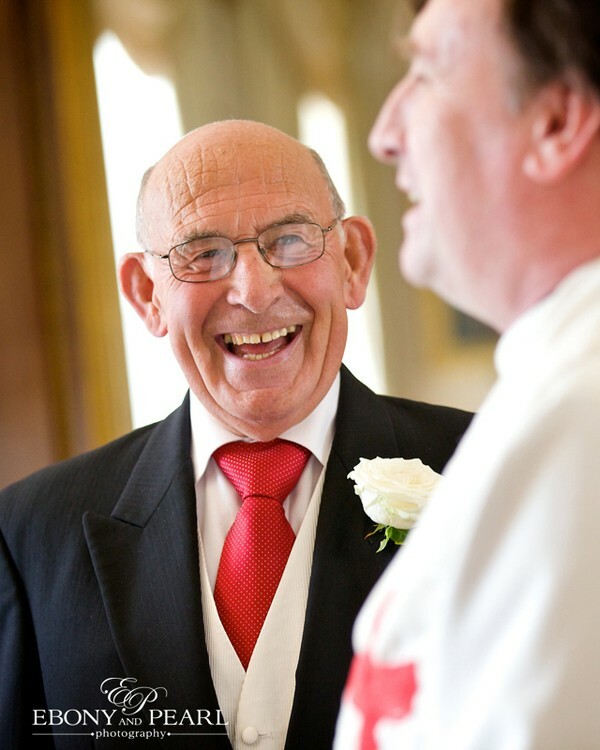 Stuart came to the house early and was just a joy to have in the frantic bride's home, adding a sense of calm and organisation! 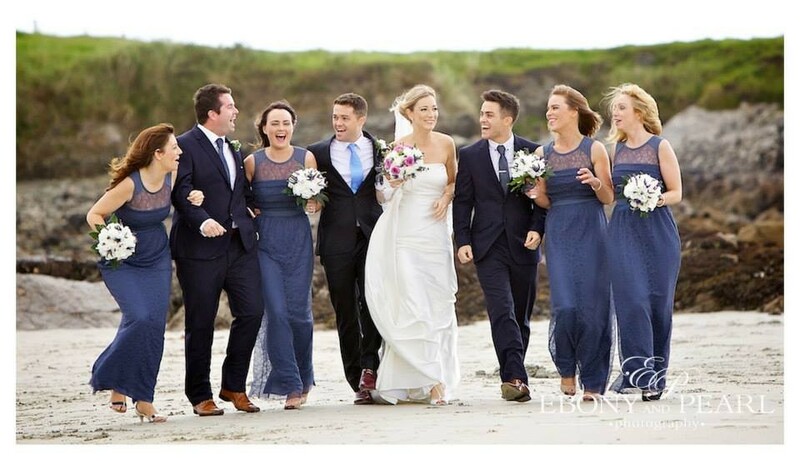 Our photos are amazing and having seen our stunning album other friends have also chosen Ebony and Pearl. 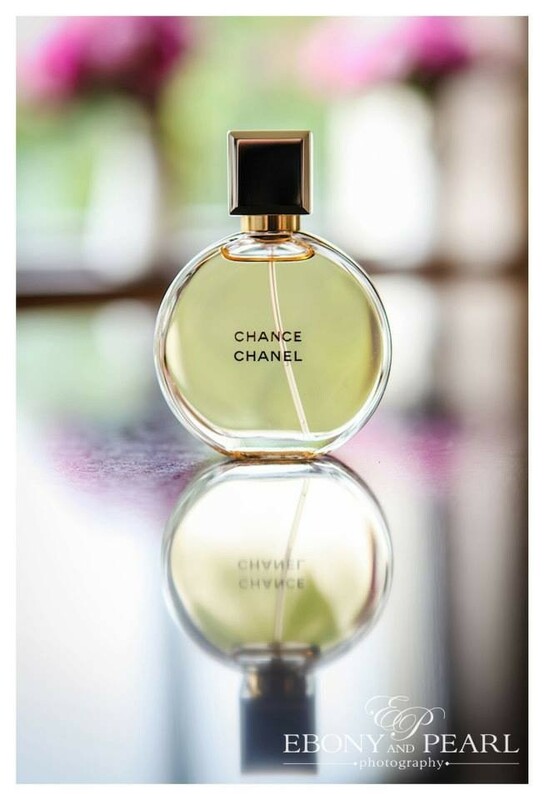 I cannot praise them enough in terms of professionalism and having an eye for taking a fabulous shot. My husband and I would highly recommend Ebony and Pearl. We were told about Ebony and Pearl by friends and from the first meeting, Stuart was so accommodating. 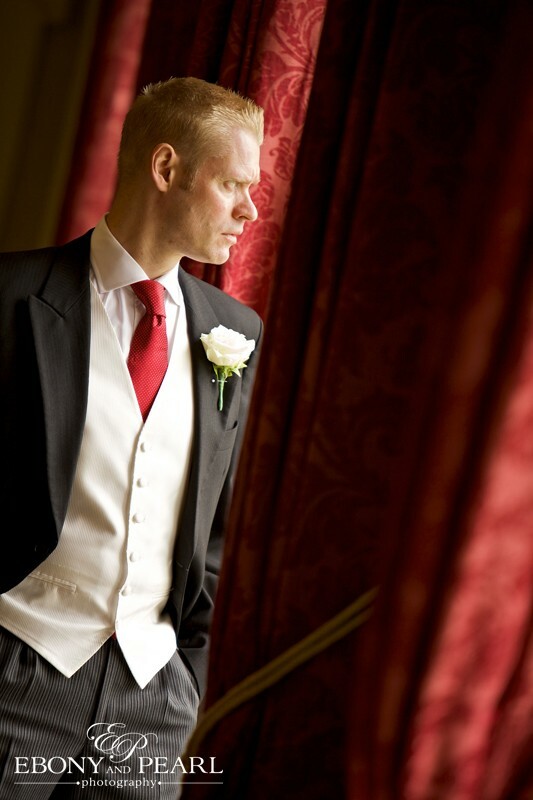 Very professional and helpful with advice on what shots to consider and style of photography. He also had wonderful ideas if te weather changed and we couldn't use our outdoor venue. He was particularly accommodating as one of the relatives also fancied himself as a photographer and wanted to take some shots too! Nothing was an issue and our photos were amazing. So many people have commented on them and asked for details. I find it hard to be comfortable in front of the camera but Stuart was great, making me feel at ease. 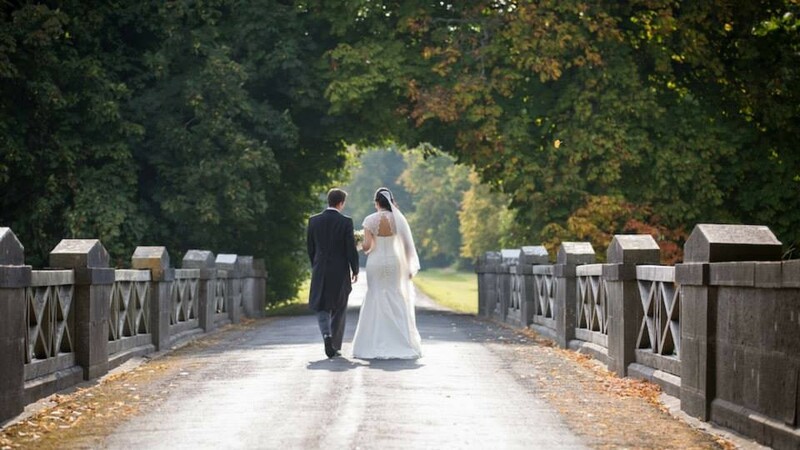 We look back at our photos and relive the best day of our lives. 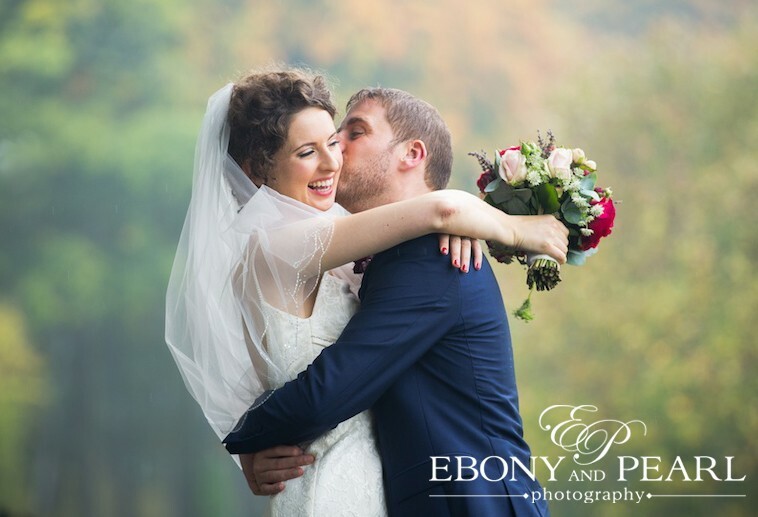 Stuart & Emma at Ebony & Pearl were absolutely fantastic to deal and not alone would we have no hesitation in recommending them to our friends and colleagues, but we have already done so. Their professionalism throughout the day and the subsequent quality of the pictures they took was commented on by many of the wedding party and guests. 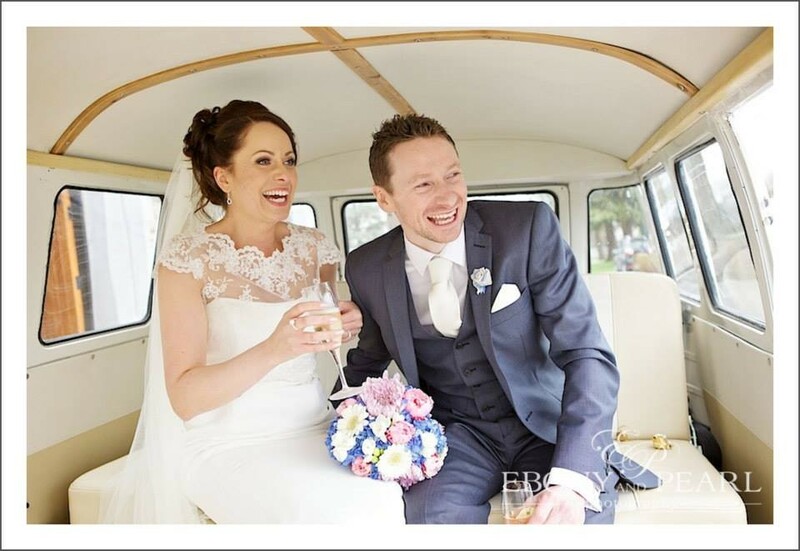 Prior to the big day itself, Emma & Stuart had no hesitation in providing with us with several consultations and meeting us at times that were outside normal business hours to suit our work schedules. We also asked to guys to do an “engagement” shoot with the idea being that we would have a large picture on the day that guests could sign and leave messages on. Stuart was very helpful, to the extent that on my request -- and purely due to vanity -- I asked him to Photoshop in a tooth that I was missing and he duly obliged. After the event, we opted for a wedding book from a different supplier that Ebony & Pearl normally used. Again, they had no hesitation in contacting this supplier for us and getting samples sent over and we did end up choosing this supplier. Many thanks for the memories you helped to capture. Ebony and Pearl were great to have as part of our wedding. They were very flexible in terms of tailoring the wedding package to our needs. They were very friendly to work with and the quality of the pictures were excellent. They managed to take the pictures they required and yet did not overly impact upon our day. 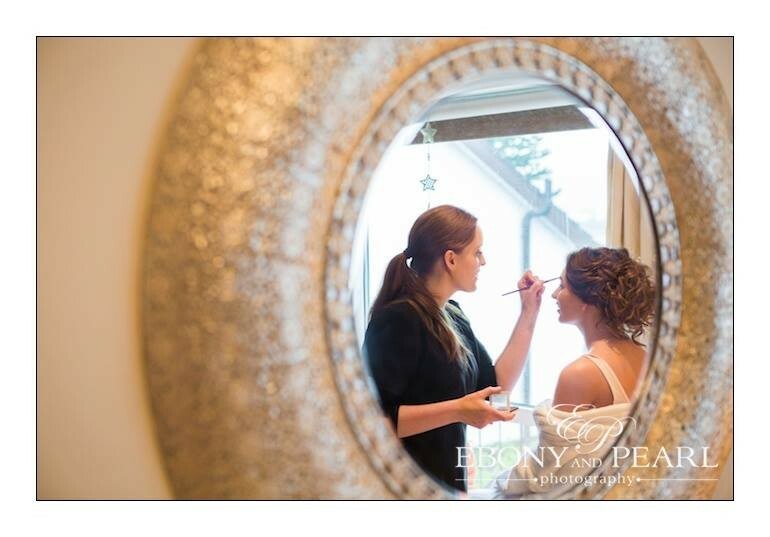 Three friends of ours used Ebony and Pearl after seeing our wedding pictures. Ebony and Pearl were flexible and professional throughout the process. 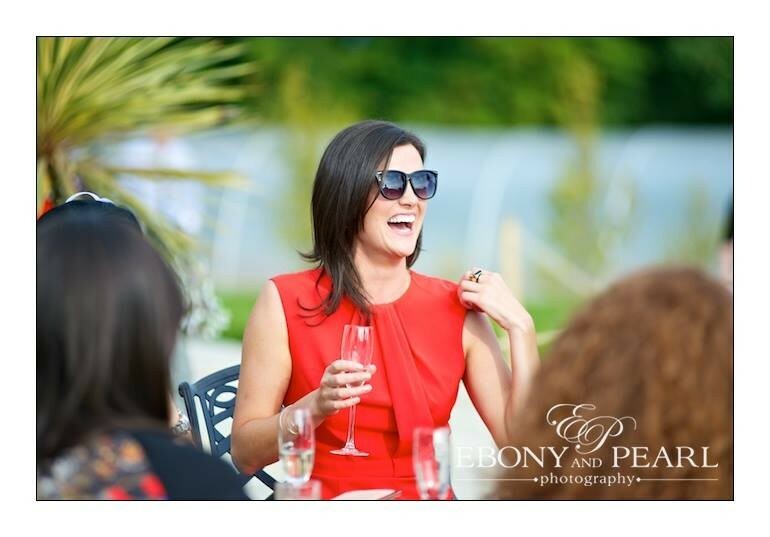 They were helpful, experienced and very personable and adept at putting our guests at ease. I would definitely recommend them. 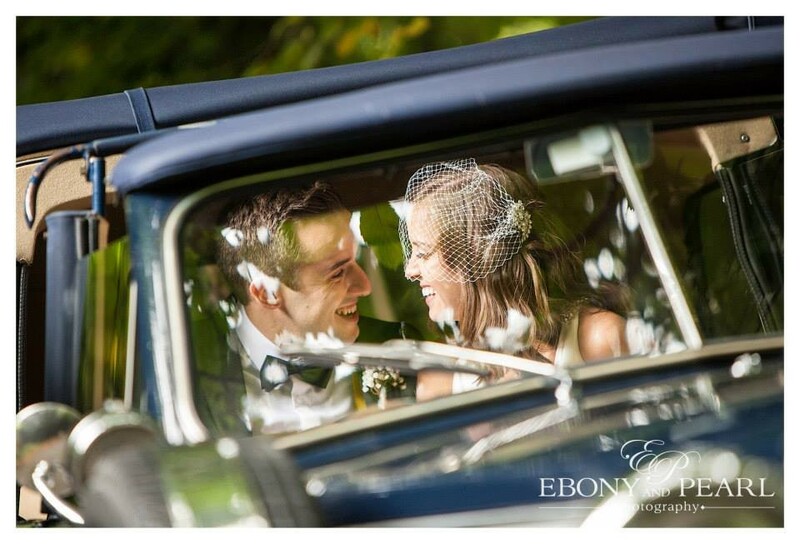 Fantastic service, I couldn't say enough about Stuart and his team on the day, both my husband & I were delighted with album when it arrived, I would and have recommended them to friends who following our day chose Ebony&Pearl for theirs. 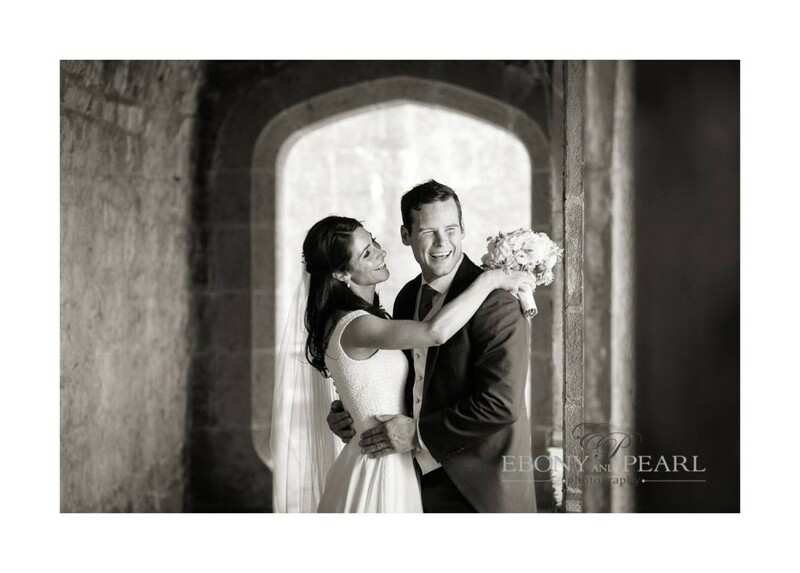 We found Stuart and Emma amazing on our wedding day. They were very relaxed and yet we still got all of the pictures we requested. We wanted the majority of the photos to be discrete pics of our guests enjoying the day and that was exactly what we got. The photos of the kids in the wedding party were really special - Stuart and Emma have a particular talent for capturing little ones in action. For those who want fantastic photos but don't want to spend the day in formal poses, Ebony and Pearl are perfect. We could not recommend them highly enough. Is Name Meshing For You?